rab your weights” could be best news you’ve heard all day. 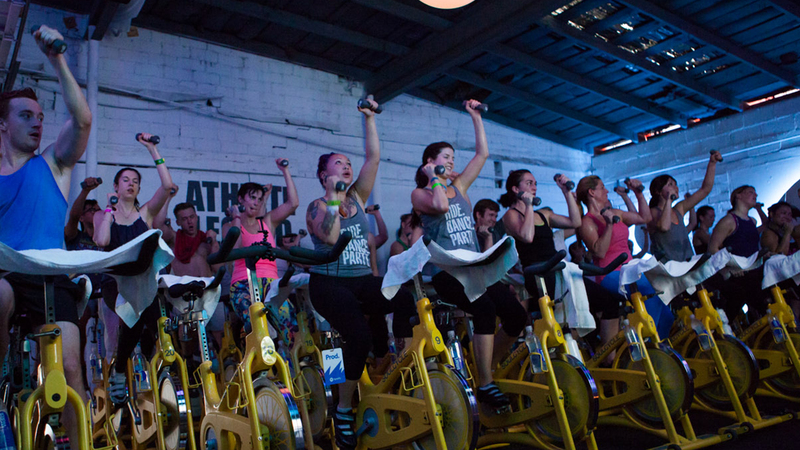 Things get a little heavy during at least one song of every SoulCycle class — and that’s a good thing. According to recent research conducted at Penn State University, lifting weights could help you life a longer life. It’s true: When scientists examined the fitness habits of people age 65 and above, they found that those who performed simple weight-bearing exercises during their life were 46 percent less likely to die than those who skipped the dumbbell-hoisting workouts. Consider this science a little extra incentive to grab heavier weights this February in our Shorter Month, Bigger Goal calendar. Check it out HERE and follow along so you're ready to pick up a set of 5-pounders on the 23rd! Questions or comments? Email SOULlife@soul-cycle.com! Want to ride? Click HERE to grab a series and book a bike!